Designing your own tshirt doesn't have to be hard, in this post I go over 2 different paths on how to make a t-shirt design in full detail. If you run a t-shirt business, you know how important it is to find a way to make quality tshirt designs in as little time as possible to optimize your production process and start earning money ASAP. Sounds expensive and complicated? Not really, making your very own t-shirt design doesn’t have to be hard and you don’t necessarily have to have graphic design skills to make a killer tshirt. In this post, I will show you how to design t-shirts like the pros. 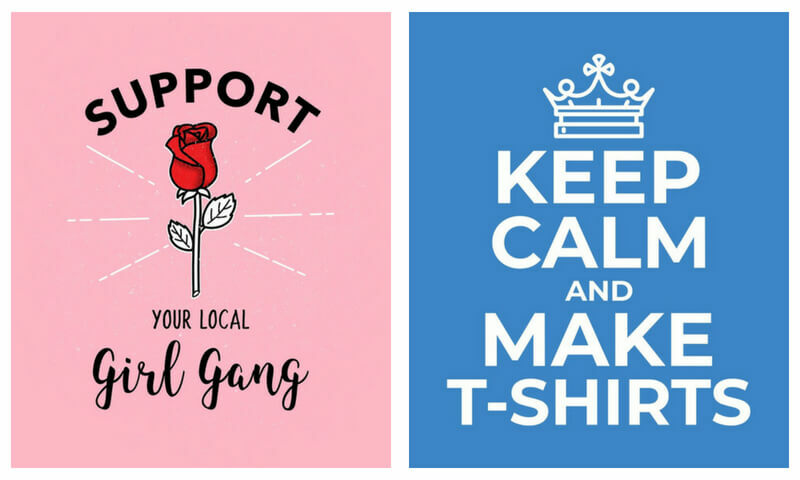 There are two paths you can go by for making your own t-shirt design: downloading graphics and fonts and using Photoshop to put them together for a totally DIY tshirt design or using a t-shirt template from a design generator that lets you get creative while taking care of all the technicalities for you. 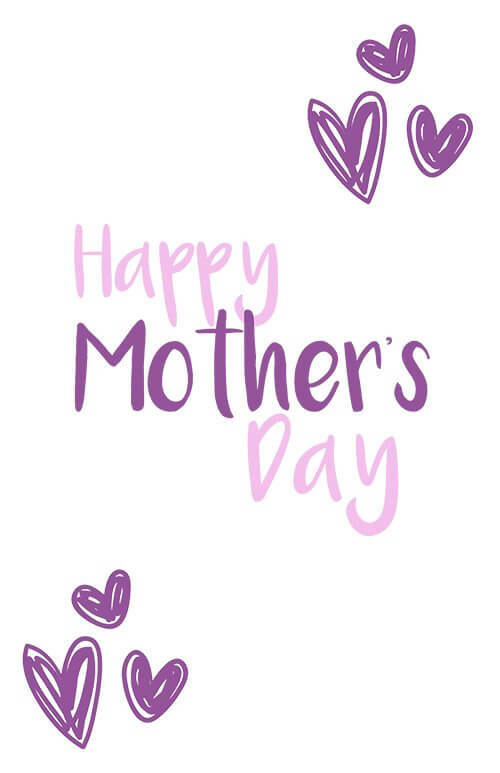 I tested both alternatives by making my very own Mother’s Day tshirt design from scratch, here’s how it went. 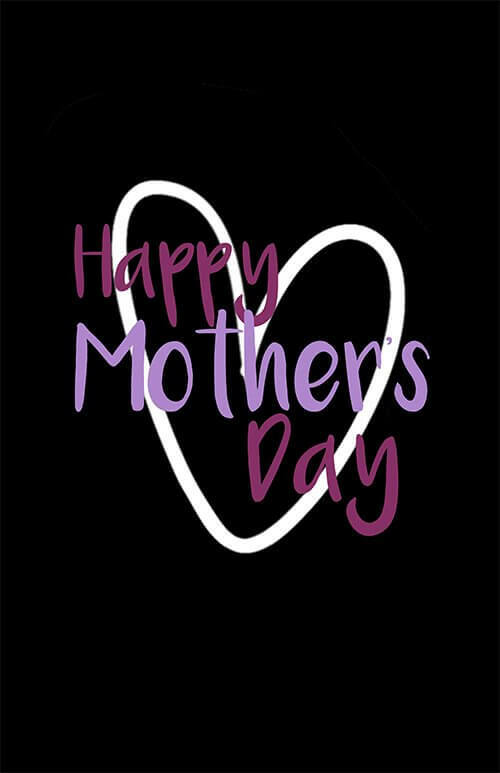 If you’d like to read more about making Mother’s Day tshirts we wrote a post you might be interested in. 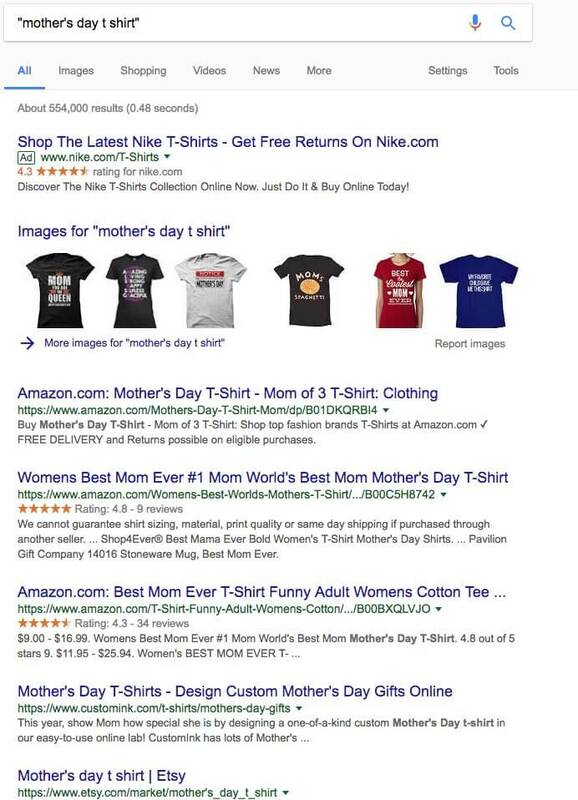 After that, I performed a manual search on Google, results for the search query “mother’s day tshirt” are posts about people selling Mother’s Day tees, which proved my point that this is a good topic to choose, especially due to timing, as we can see on the graph above, searches for this term rise on March, April and May due to Mother’s Day being on May. See What T-Shirt Designs Sell the Most! Another thing I needed to cross out of my checklist before actually spending time and resources on making the tshirt design was to view what designs are considered popular within this subject, to have a look at what what trends and sells the most. First thing that stood out was the word “Mom” and how the heart shape is a consistent element for this theme. 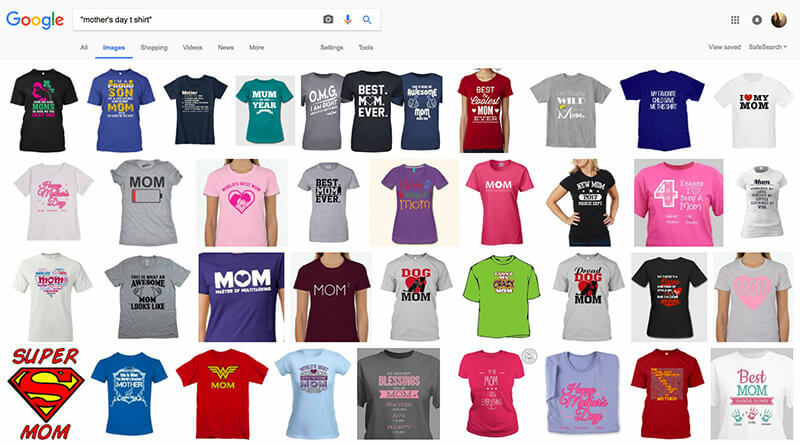 Teespring and Spreadshirt are two of the major marketplaces for selling tshirts online, I decided to search for Mother’s Day tee designs there to view what designs are popular within the community to gather inspiration when creating my own design and craft it according to what’s proven to be popular, not just what I consider that looks “nice”. If you want to check out what other print-on-demand sites you can sell your t-shirt designs on, check out this other post I wrote on where to sell t-shirts online – it includes a free POD sites Database! Now that I had clear what I intended on making, it’s time to move on to the creative part of the process. We noticed how this process of reviewing the popular t-shirt designs amongst print on demand sites is a key part of making your very own t-shirt designs so we decided to build a tool that would scrape the best t-shirt designs from print on demand sites and put them all together in a single place for you to easily review and monitor so you can catch new trends and patterns. Also, think about seasonal opportunities to design in advance a popular t-shirt for a special date, for example, a 4th of July t-shirt design. How to Find Free Graphics for Your T-Shirt Design? 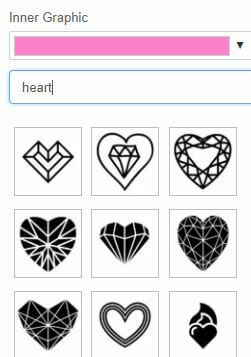 Since I decided to make a Mother’s Day tee to run a promotion next month, I started off looking for heart shapes to use on my design. 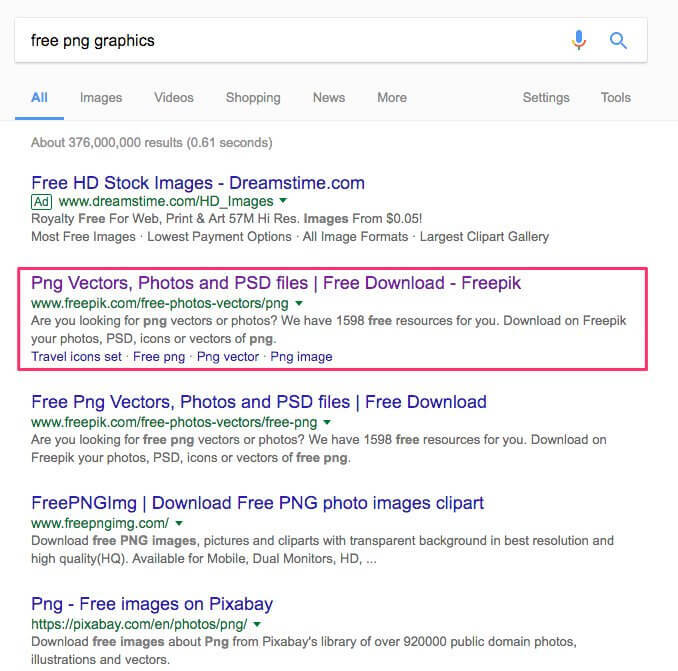 I googled “free png graphics”, clicked on the first option, which is Freepik and signed up for a free account. Then all I had to do was type “heart” on the search bar and was given tons of options, clicked on the one with a style that matched what I was had in mind, which was a scribbled shape. Notice how this is a free download with a free license that requires attribution. Make sure to pay attention to the fine print to avoid compromising your designs for copyright infringement. 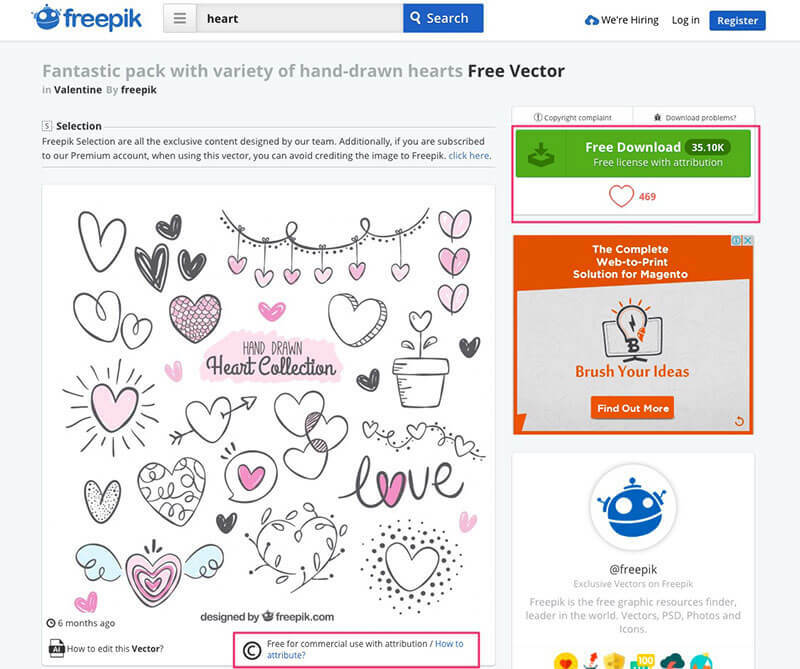 Each asset you find online will come with a license or copyright notice, just because something is labeled as “free” doesn’t mean you are allowed to use it for commercial purposes or on print tshirts for sale. My advice is to mind the details. In this case, I’m able to use these graphics as long as I credit the author. 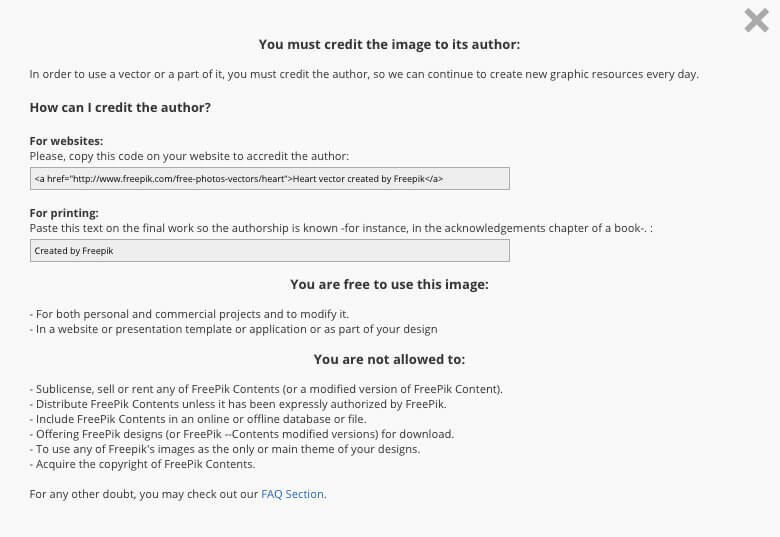 Freepik makes it easy to know exactly how to attribute the author and stay away from trouble. To be absolutely sure I wouldn’t be violating any copyrights by using these on my tee (which I plan to profit from!) 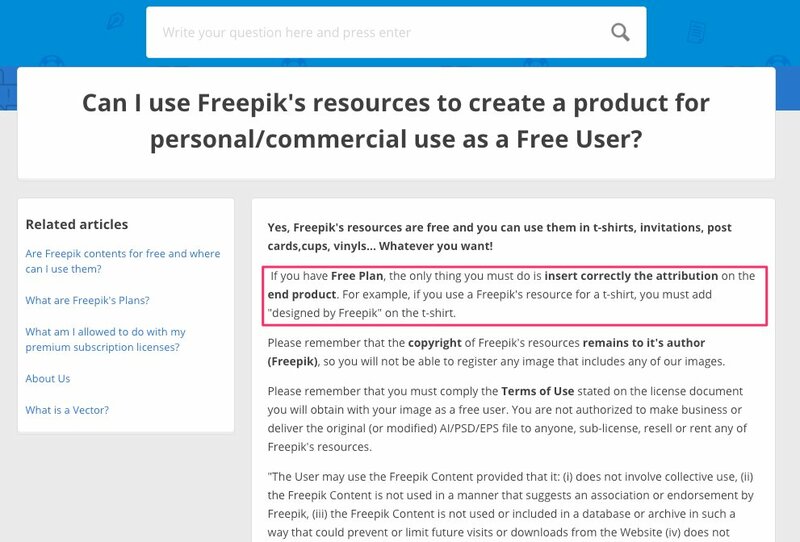 I went to Freepik’s FAQ to learn more on how to proceed, luckily I found the answer to my question real quick. Ok, so as long as I add “designed by Freepik” somewhere on the tshirt I’m good to go – I plan on adding that info on the tee’s label. Now, if you want to avoid all the hassle of attributing the graphics, you can sign up for their premium plan, which gets rid of that step, it’s $9.99/month and it allows unlimited downloads without attribution + access to premium graphics. 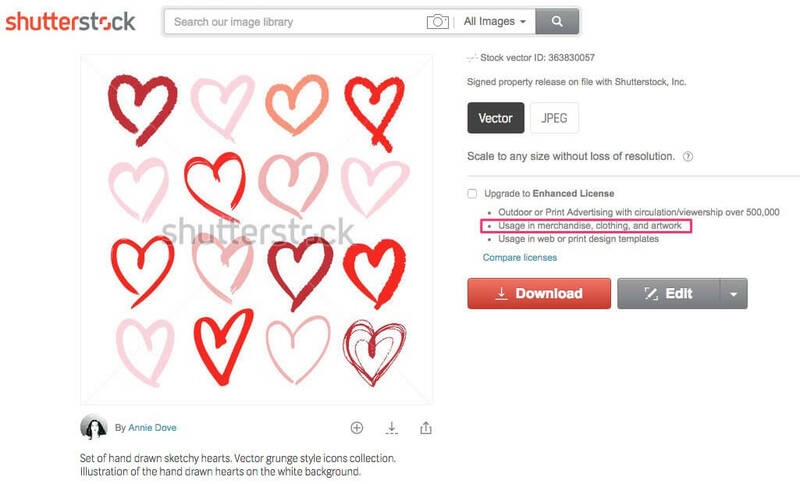 Other places to search for graphics and vectors are Shutterstock and iStock. Shutterstock has thousands of graphics and I was able to find one that is very much alike my Freepik find, it’s a free download but it doesn’t allow me to use the design on print tshirts, I have to acquire an “Enhanced license”. 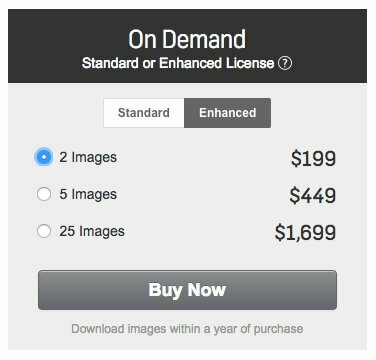 Enhanced licenses are not sold individually, I’d have to purchase at least 2 images, which would be $199 USD. iStock offers similar graphics at $12 each with a standard license, and digging into their license agreements, learnt that I need an extended license for printing and selling t-shirts with the graphic. The extended license I would need is “Products for resale” it costs 18 credits, and each credit is $12. Since I’m trying to make a design for a tshirt for free, I decided Freepik’s free heart graphics with required attribution will do, so I went ahead and downloaded the file, which is an Adobe Illustrator file (don’t worry, you can open this in PS). Since I already have Photoshop installed in my computer, I just dragged the .ai file to Photoshop to open it, however, if you don’t have it already, you can download it from Adobe at $9.99/month as a part of the Creative Cloud Photography. 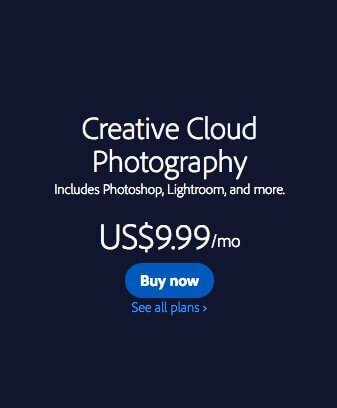 This package lets you get a free 1 month trial and it includes the following: Photoshop CC, LightRoom CC, and Photoshop Mix, Lightroom (Mobile App) Bridge CC and a free cloud storage space of 2GB. Alright, so when I opened the file on Photoshop I was given this screen, which made me notice my file is a flat image, not individually layered graphics, this means I have to cutout the white background (we’ll get to that). Default settings are alright, so I just clicked “Ok” to open the file. Where to Download Free Fonts for Graphic Tees? Now that I had my heart shapes in a friendly format I can move across the design, I went ahead and searched for some handwritten fonts to add to my design, I visited DaFont since I was already familiar with the site. You can also use Google Fonts to download free fonts to use for your tshirt designs. On DaFont I narrowed my search to Script > Handwritten and downloaded the Luna font, which was labeled as 100% free. After creating my file, I decided to try several options for my t-shirt template by copying and pasting some of the heart icons, arranging them, adding text using the font I downloaded and basically playing around until I came up with an option (or 2!) I liked, below is a quick recording of my process. This tshirt design is meant to be printed on white garments. I plan on printing this design on a black tee so even though it has a transparent background, I’m uploading it here with a black background so you can see the white heart graphic. Overall, I was pleased with my results but considered it took too long, by the time I finally got to the designing part I was already annoyed by the whole process of finding and downloading the assets and tools. Below are my final thoughts on this process. I was able to control every aspect of the process, from selecting the graphics to arranging them to the style I had in mind. Once you have the assets downloaded, you will be able to reuse them for future projects or designs. It really takes a while to find the what you have in mind; I was searching for heart graphics, which are popular, however, if you are searching for something more specific, you may struggle to find quality assets that allow you to use them commercially. You really need to pay attention to the license of each graphic, this can be a hassle. Freepik makes it easy to know exactly how to attribute the author and stay away from trouble, but it won’t always be that clear. You need to have Photoshop installed. You need at least the very basic Photoshop knowledge. Cost: $9.99 for Photoshop. Don’t forget that even though the graphics were free to download I have to add attribution on the label. Time spent: 1 hr 40 min. 35 min searching for graphics and fonts + 45 min signing up and downloading Photoshop (estimated) + 20 min crafting the design on Photoshop. Quality: the quality of my final output is good enough to use on several products on my POD shops like tank tops, hoodies, mugs, etc, so that’s pretty good. Choose from a set of fonts specifically selected for each template and that complement each other. Choose the same font for each text field or a different one for each. Pick a color for your text fields, you can select one or paste a HEX code. Each template comes with a different amount and arrangement of text fields, you are able to disable some of the fields. Pick an icon or graphic that goes along with your text and complements the t-shirt design. Choose the color of the image. You can decide to avoid adding graphics by clicking “No Image”. Graphics are automatically centered in the image. You get to choose background texture, graphic, pattern or even a stunning photo! 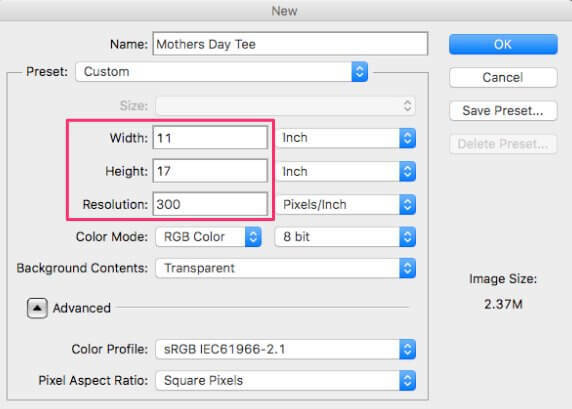 – I only recommend choosing photos if you plan on making a sublimated tshirt (some POD shops offer this product) or if you have other use cases for the design, like printing posters, using as a social media graphic, etc. Choose a flat color for the background by clicking on “No Image” on the right hand side. Select a transparent background option to download the transparent png – the most flexible file format for most POD shops and printing your own tshirt. 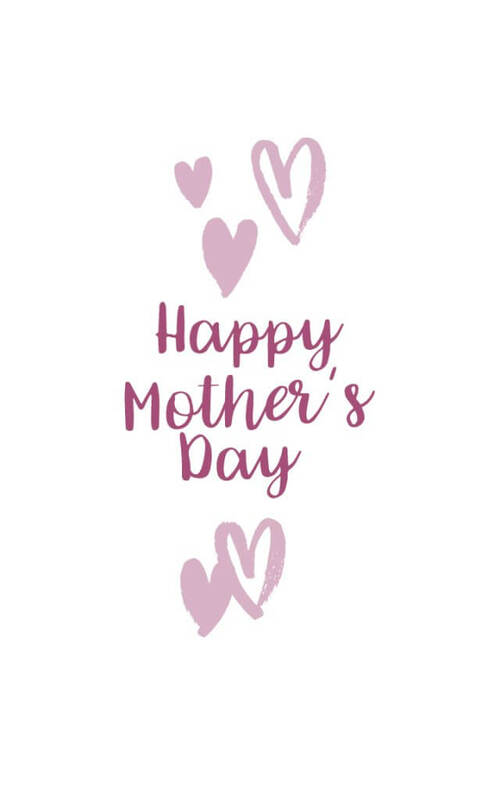 One of the things I loved when looking for a mother’s day tshirt template is that there are many different niche specific designs to choose from. And more are coming out every day. From feminist tshirts, to cat tshirts, and even a 90s t-shirt template, you’ll probably be able to find that tshirt template you’ve been looking for. Check out some of them down below! You can select from a wide variety of assets, all from a single place and without having to download them. No need to worry about copyright infringement, these assets are all preselected for you to use for selling tshirts. Output looks exactly as intended since you choose your own combination of fonts + graphics + background + text. 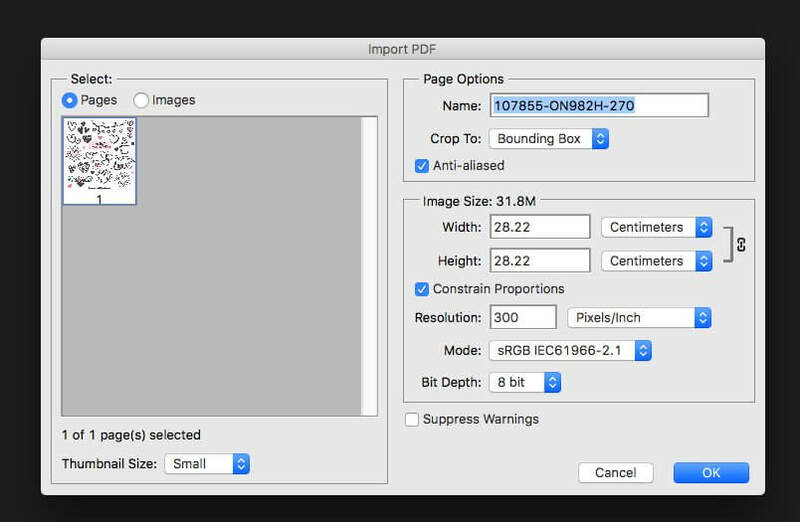 Your download file is a friendly png that meets all the POD site requirements. This is a super fast way to make a tshirt design! Smart templates are 100% free at the time. You are not allowed to reposition the objects within the design, which can be a bit annoying but also makes sense, this way all elements remain centered and correctly arranged aesthetically co be prepared to invest time designing your tshirt, especially if you are new to these tools and processes. You are limited to a selection of graphics and fonts. Cost: $2 or get these T-Shirt Templates for free with any subscription. Time spent: 10 min since it was my first time making a tshirt design using this tool. Time can definitely be cut in half for my next design. Quality: the quality of my final output is pixel perfect, these are beautiful assets and the elements on each tshirt template combine with each other perfectly. The tshirt designs I made through both methods are ready to upload to any POD shop. I chose to add them to Teespring and Society 6 so you can have a look at how easy the process is. You are not selling t-shirts online yet? Learn about where to sell your t-shirts, learn which “Print-On-Demand websites” are best for you and how they work on this print on demand starter guide. If you rather sell t-shirts online through Shopify then you might want to check this guide. Teespring – I uploaded the design I made with Placeit’s Smart Templates..Sign up for an account – it’s free! Click on Start Designing > Art > upload your tshirt design file. Select a style for the tee and which colors you want it to be available in. Choose where to position the design on the tee’s printing area, as you can see the one I made was a perfect fit, I just moved it up a little bit since the Women’s Tee I selected has a different print area. Add your campaign’s meta data (Title, description, category). NOTE: this is a sped up video, but the entire process of uploading my design to Teespring took only 2:30 min!! You can read Teespring’s Design file tips & best practices here. Society 6 – For this platform, I uploaded one of the designs I made with Photoshop and using online graphics and fonts. Choose what products you want to enable with your design (there are looots of options!) For tshirts click on Apparel; to enable products just toggle the ON/OFF tab. Click on Edit and select the colors you want to offer the tee design in, you can zoom in and out with your design and also reposition it to your desired place. NOTE: This was also a super quick process, it took 2:00 min in total, however, keep in mind your design may take up to 30 min to show on every enabled product on your Society 6 profile. Ok, so now that my designs are available on at least two online marketplaces, next step is to promote it on social media. Since POD sites only offer mockups of a flat garment over a white background, and I was looking for mockups that displayed my design on a real tee being worn by a real human being, I decided to promote my tee designs with tshirt mockups. 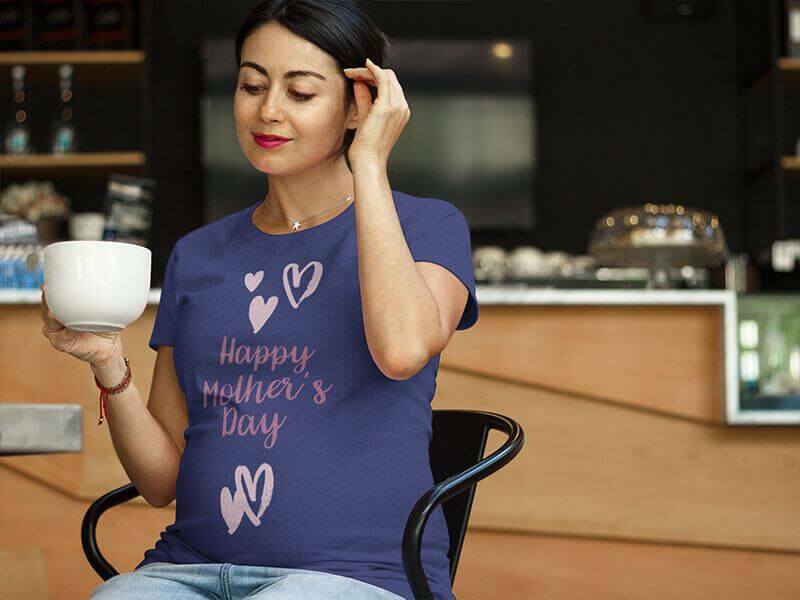 A Placeit tshirt mockup lets me display my Mother’s Day tee on a wide variety of models and scenarios (there are even pregnant mom mockups!! ), this way I’m able to promote my work on social media without having to go through the whole process of a photoshoot. Have a look at this tutorial video we made a while back on How to Make a Tshirt Mockup. Below you will see the tshirt mockups I chose to create to promote the tshirt designs I made today. Making your very own tshirt design is a complex endeavour as you have to consider a bunch of little details, however it doesn’t have to be a difficult process, even if you don’t have design knowledge or skills as long as you find the right tools to help you along the road, like Placeit’s T-Shirt Smart Templates. I hope you have found my comparison of these two methods for creating a tshirt design helpful. I recommend you try both paths and choose the one that works best for you and your tshirt business. Tip: We created a T-shirt Ideas Calendar highlighting the dates that you can’t miss as a t-shirt seller in this 2018! Niche specific t-shirts are always a great way to go like, Valentines Day shirts, LGBT Tshirts, Father’s Day shirts or even Cat Tshirts! Tip #2: Get the free How to Get Started With Etsy Guide and start selling custom apparel online the easiest way possible! With Placeit, making a t-shirt design is as simple as opening up your browser, choosing what graphics and fonts you want and downloading. No need for special design software or hiring a designer to see your t-shirt ideas come to life. Also, with Placeit's image and video mockups promoting your designs is a breeze, try it out today! "How easier would have been to set up my t-shirt store if I knew Placeit before"
With Placeit's Cat T-Shirt Design Template you'll have the trendiest cat designs in no time without having to use Photoshop or hiring a designer! Try them out today!